Matt began riding at the young age of 6, however after an accident resulting in 3 months in a wheelchair & a long road of rehabilitation, this was soon stopped by his parents. This didn’t stop Matts love & passion for riding & as soon as he turned 16 he bought his own kdx200 & began riding on the welsh mountains. This progressed to him competing in enduro & motocross events on a kx250 in the subsequent years. Matt then decided to hit the track on a ktm560smr supermoto & also got himself a gsxr600 for track days. Matt started racing supermoto, reaching expert level & then moved onto road racing for a new challenge, entering as many races as possible with the goal of getting his national licence. Matts first road race was in his home town of aberdare park & this is where his road racing dream began. After several podium finishes at the early stage of his road racing career, this was recognised when he entered the mgp in 2014 & was given race no.1 as a newcomer. 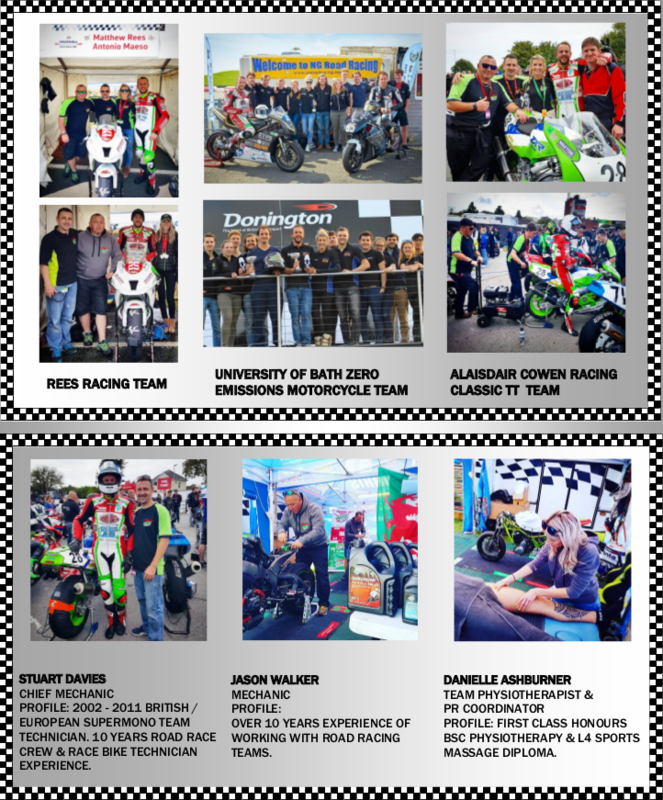 This gave Matthew the drive and determination to achieve his international licence, which he did in 2015 & has since entered all major international road racing events in the uk.